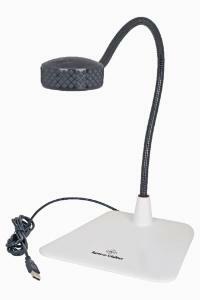 This innovative and sleek document camera has a stable flat stand that offers a more usable surface area by virtually disappearing under documents or books. The 3.2 megapixel camera head is coated in textured over-molded rubber, making it easy to grip and adjust on a flexible, sturdy neck that retains its position without sagging. Controls are readily accessible directly on the camera head. Includes Applied Vision 4 software.